Millions of systems on the internet offer services that should not be exposed to the public network. Our survey uncovered 15 million nodes appearing to offer telnet, 11.2 million appearing to offer direct access to relational databases, and 4.5 million apparent printer services. 4.7 million systems expose one of the most commonly attacked ports used by Microsoft systems, 445/TCP. SSH (secure shell) adoption over telnet (cleartext shell) is gaining ground over telnet, with over 50% of regions offering more ssh servers than telnet servers. Non-web-based access to email (via cleartext POP or IMAP protocols) is still the norm versus the exception in virtually every country. 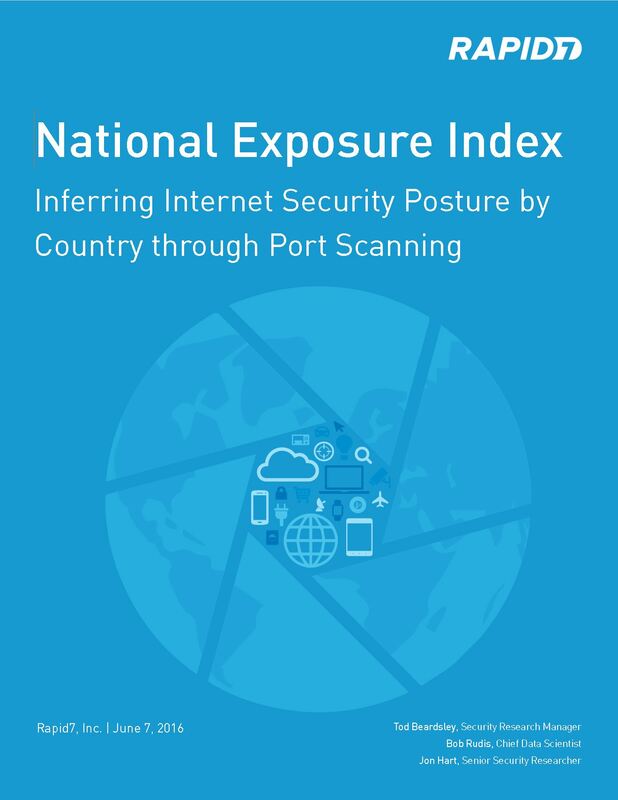 There is a correlation between the GDP of a nation, overall internet "presence" in terms of services offered, and the exposure of insecure, cleartext services. The most exposed nations on the internet today include countries with the largest GDPs, such as the United States, China, France, and Russia.